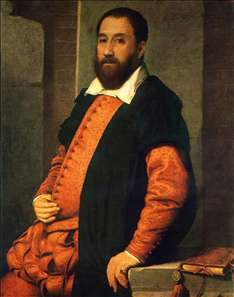 Italian painter, son of an architect, Andrea Moroni. 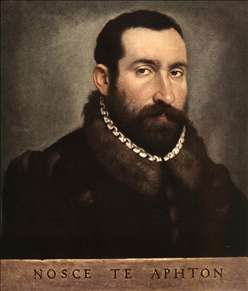 Moroni was one of the greatest, albeit the shyest, portrait painters of the sixteenth century. 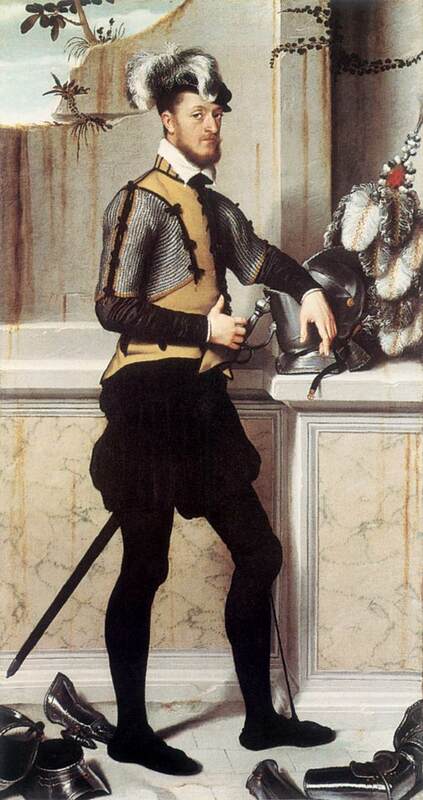 He trained under Moretto in Brescia and worked mainly in his home town of Albino and in nearby Bergamo. His style was based closely on that of his master, but whereas his religious and allegorical paintings are generally heavy-handed, his portraits are worthy successors to Moretto s. They are remarkable for their psychological penetration, dignified air, and exquisite silvery tonality. 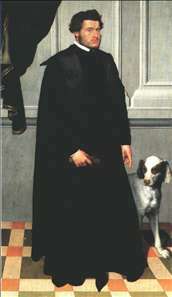 The National Gallery, London, has the best collection of his work, including the celebrated portrait known as The Taylor. 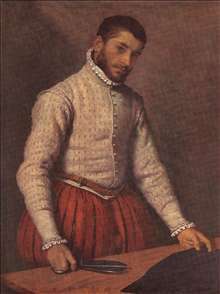 After serving his apprenticeship with Moretto in Brescia, Giovan Battista Moroni spent nearly all his career in and around Bergamo, where he continued Lotto s tradition. 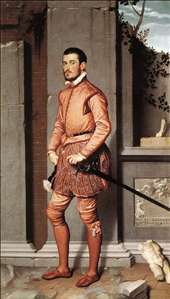 The only deviance to this were two periods spent in Trento (1548 and 1551) when the Council of Trent was in session. 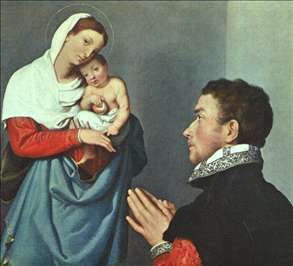 On both occasions Moroni painted a number of works (including the Altarpiece of the Doctors of the Church for the church of S. Maria Maggiore). 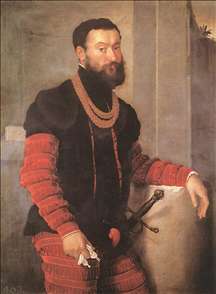 It was during his stays in Trento that he also made contact with the Madruzzo family and with Titian. 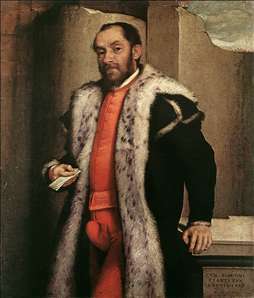 From the 1550s onwards, in fact, Moroni was often commissioned as an alternative portraitist to Titian. A whole stream of provincial lords and ladies took it in turns to sit for him. The result is a series of portraits of people full of dignified humanity and concrete in every sense. Heroism is not in their vocabulary, but they are all well grounded in everyday life. His religious paintings are rarer, but we should at least mention The Last Supper in the parish church at Romano in Lombardy. See more details about "A Gentleman in Adoration before the Madonna"
See more details about "Portrait of Jacopo Foscarini"
See more details about "The Gentleman in Pink"
See more details about "Gian Lodovico Madruzzo"
See more details about "Portrait of Antonio Navagero"
See more details about "Portrait of a Soldier"
See more details about "The Taylor"